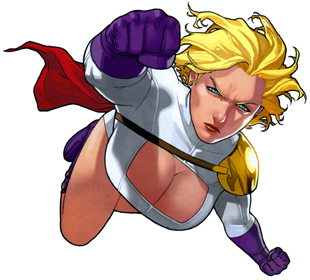 This blog is devoted to Power Girl. 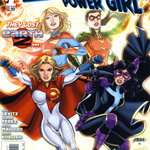 After reading the Power Girl comic for this past year (Summer 2010-Summer 2011) and not finding a whole lot of others out there promoting the present Power Girl comic book series or Power Girl in general (though maidofmight.net is pretty excellent, but with a bit more focus on Supergirl), except for plenty of image blogs, I decided to start this blog, because dang it, Power Girl TOTALLY rocks!!!! I have pretty much loved every single issue and I want to spread the word about Power Girl’s profound wonderfulness as a comic book character. 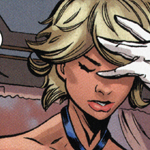 Also, my hope is not to exclusively devote this blog to Power Girl alone, but to any comic book I happen to be following especially in the DC Universe, since, really, DC is all I really read — Power Girl being the most wonderful of them all, of course, in that universe. 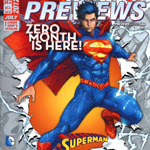 Blog posts are predominantly divided up by category: News, Power Girl Reviews, Great Power Girl Moments, but also covering various other DC characters: Superman, Wonder Woman, and Other DC Characters — including reviews of Power Girl’s interactions with these other characters, too! 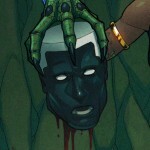 I hope you’ll enjoy reading this blog as much as I enjoy writing it! 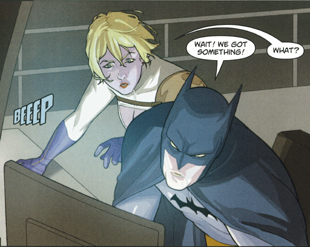 For anyone interested, the header image is from Power Girl #20, p.9, the image of Power Girl flying in the upper right is from the cover of the very same issue, and the image down the right column of Batman and Power Girl is from Power Girl #16, p.22.